I've often lamented the stereotypes that exist in African-American comic book characters. Most of them, in my limited experience, are either super suave, super strong, a sidekick, have electrical powers (because black people have "dat juice"), or are super smart (which I find to be really patronizing). However, I've never really explored the African-American experience in my favorite video game genre. 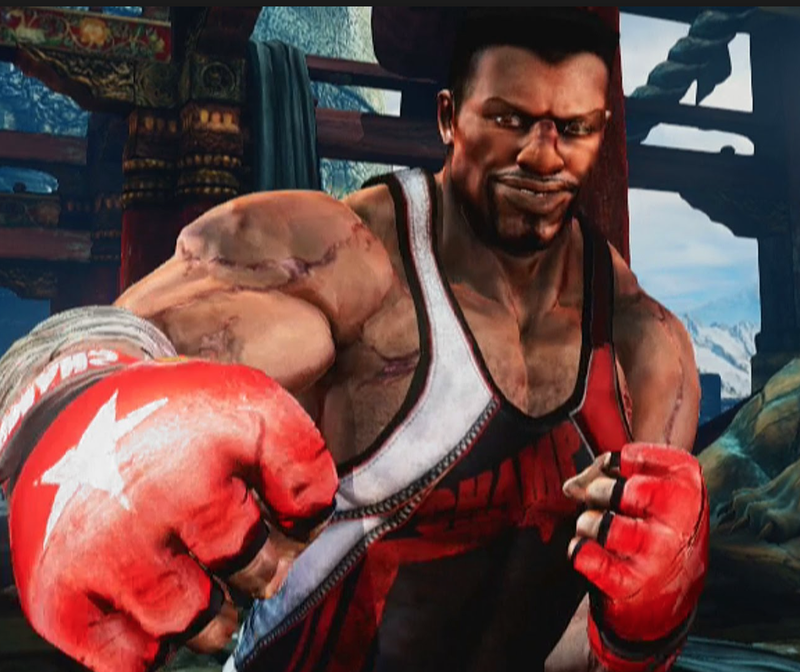 So today's post will discuss African-American characters in fighting games. I'll list them in no particular order. Some will not appear on this list for several reasons. I might not have heard of them. I might not have ever played with them. 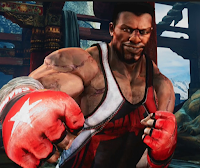 Or the character in question might be black, but not African American, like Elena and Dudley from Street Fighter III, and Christie and Eddy from the Tekken series. Like films, there are a few stereotypes, mostly revolving around the "black muscle" who acts as a sidekick to the hero or a henchmen to the villain. 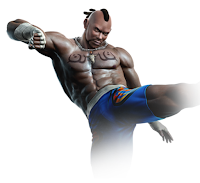 The primary fighting styles of most black characters in fighting games are Boxing and Muay Thai. I'm not sure why that is. To date, no major fighting game has ever used an African-American character as either the main protagonist or primary antagonist. Jackson "Jax" Briggs – Debuting in Mortal Kombat II, Jax is the musclebound member of a special ops unit who has entered the tournament to save his partner Sonya Blade. 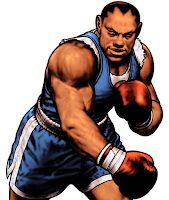 While not a boxer, a major component of his fighting style revolves around his arms. 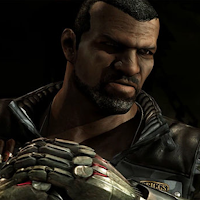 Depending on if you follow the 2011 reboot or the MK III storyline, Jax's arms were metallically retrofitted either out of necessity to save his life or as upgrades in the fight against all the crazy creatures of Outworld. Either way, Jax is the first African-American fighting game character to act as a good guy. When he is given a daughter in MKX, it definitely helps to deepen his story a bit. But neither Jax or his daughter completely shed the "black muscle" stereotype. *Bruce Irvin – In Tekken's Bruce Irvin, we have a kid who loses his family to gang violence and is forced to survive and fight on the streets as a result. He ends up becoming the partner of Lei Wulong after joining the "police force" as an adult. On his way to investigate Kazuya Mishima, his plane explodes and crashes. Bruce survives, but loses his memories. Rather than kill him, Kazuya hires him as his bodyguard, which has been Bruce's role ever since. So Bruce and Balrog share similarities in that they both serve as the "black muscle" to their villainous leaders. Sighs. TJ Combo – Um...no. Just...no. 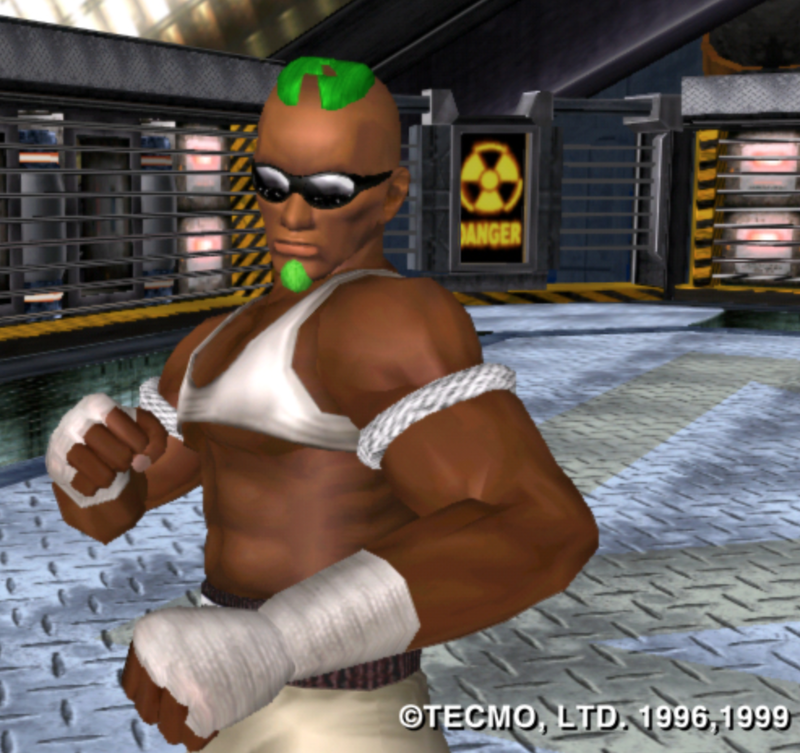 Zack – To hear Tecmo tell it, Dead or Alive's only black male entry is based off of NBA Hall of Famer Dennis Rodman. I'm more inclined to think that the character was created first, then given a real-life person to make parallels to. (I'm okay with that, by the way.) In the story of DOA, Zack is a DJ looking to boost his popularity by competing in the first tournament. Known for his flamboyant outfits and personality, Zack the only black character that I can think of that fits the mold of the joke character in fighting games (Like Street Fighter's Dan Hibiki and Fatal Fury's Joe Hagashi). He only competes in the tournaments thereafter in order to provide for his extravagant lifestyle, never actually winning the tournament, but always being there to claim the prize money. He secures enough capital to create an island named after himself, and has somehow formed a relationship of sorts with aliens. Though he's a bit weird, I can honestly say that Zack is most certainly not a one-dimensional black stereotype. Seth – In Seth, we have another African-American character who is partnered with a female member (Vanessa) of an elite military-style organization the same way that Jax is partnered with Sonya Blade. 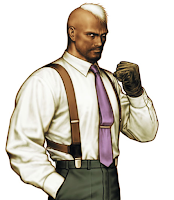 On the surface, it would appear that he's another "black muscle" stereotype, with the creators going so far as to say they were looking to create a "powerful...big, dark, middle-aged man" (SNK). However, a closer look reveals a more professional and more polished character. His fighting style isn't about overwhelming you with slow, powerful attacks. Seth uses range, counter attacks, and patience to methodically wear down his opponents, something that's very rare in African-American characters because it shows a sense of intellect. This is to be appreciated, especially since The King of Fighters is my favorite fighting game franchise. I wish there was more story to him, but that's a problem that most fighting games have. Lisa Hamilton – Lisa first debuted on the roster of DOA Xtreme Beach Volleyball (the fighting game equivalent to Sports Illustrated's swimsuit issues). The story of DOA has her constantly switching careers. She's been a scientist, a sales exec, and a stockbroker. This, in my experience, could be seen as an accurate portrayal of the many independent black women who value success in the workplace above all else. From a gameplay prospective, she is a grappler, a fighting game archetype that is historically dominated by men. 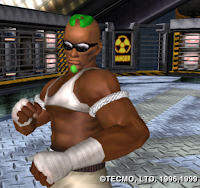 She is the only black wrestler, that I can think of, in fighting games. Also, Lisa take on a lucha libre persona. I'm not sure why or how relevant this is to her story, but I figured it's worth noting only to establish that she is not Hispanic, but an African-American woman who puts on a Luchadora outfit. Vanessa Lewis – From Virtua Fighter. Not much here. Like Bruce Irvin, her family is killed when she was young, she becomes a bodyguard as an adult, and she uses a realistic form of Muay Thai as a fighting style. Jacqui Briggs – From Mortal Kombat X. Daughter of Jax Briggs. I'd like to see her grow outside of her debut before I create an analysis of her. So far, it seems she's doomed to play the sidekick role to Cassie Cage. Raven – From Tekken. I'm not sure if he's African-American. A Tekken bio credits his birthplace as Canada. A digital magazine called VentureBeat is quoted as saying Raven might be the only African-American ninja in fighting game history. I'm not sure about any of it. Either way, he doesn't have much of a story to tell. I will update accordingly, should the need arise. Black Orchid – From Killer Instinct. I'm not sure if she's African-American. If so, I will update accordingly. *Note: Bruce Irvin holds a world record for surviving plane crashes in fighting games.